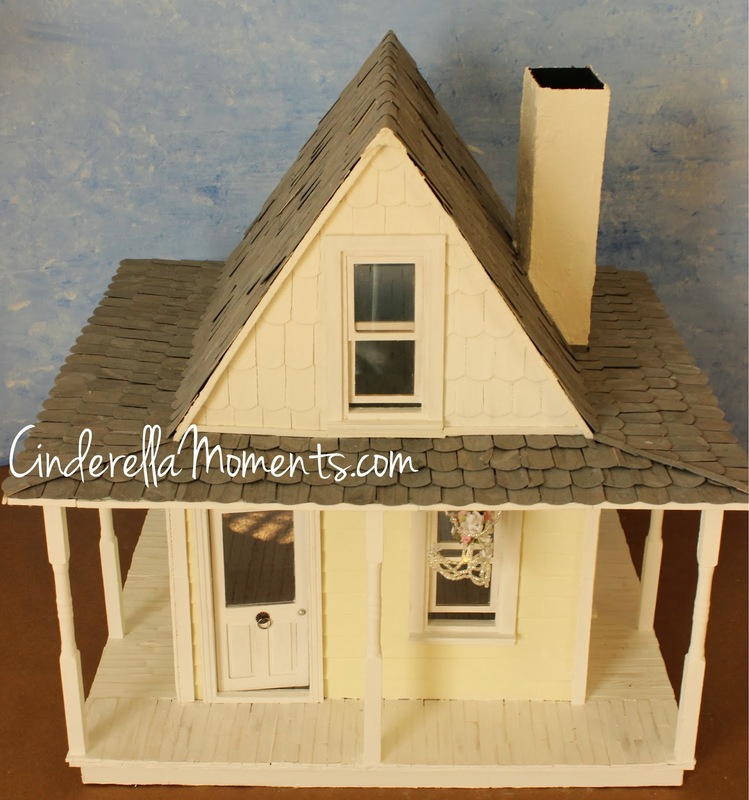 The main construction on Figaro's cottage is done. Now all that remains is the details. But I wanted to show you the house when it's just a house and not yet a home. 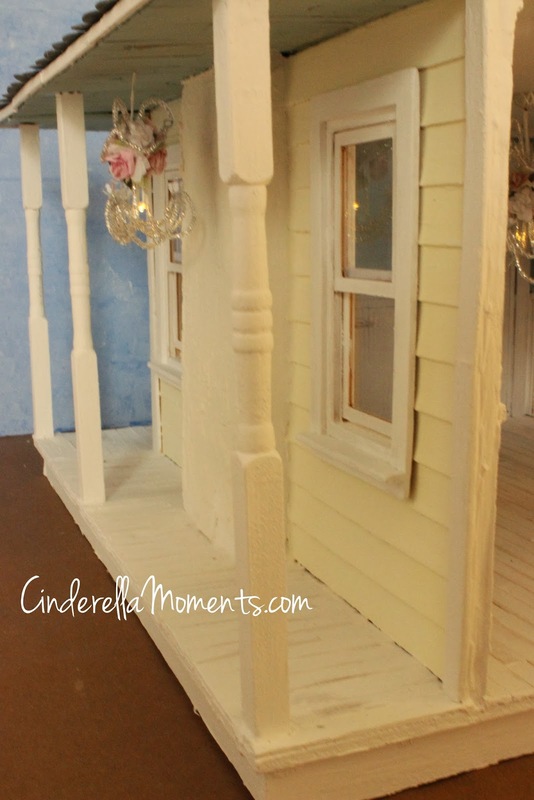 Next time you see this dollhouse it will have undergone it's Cinderella Moment! Надеюсь, что твоя нога уже не болит. Всегда удивляюсь, как быстро ты строишь дома ))) Ты волшебница! С наилучшими пожеланиями из России. Елена. Oh, oh, oh my goodness, I want to live in that house! I absolutely adore wraparound porches. This is going to be my favorite I think. I hope you put a porch swing or a pair of rockers. Speaking of rockers, you rock!! I just love that house with its porches. I could just imagine sitting on that porch with a good book looking out to some fabulous scenery. So beautiful and so inviting with the two balconies on each side of the house. Es preciosa Caroline, me gusta especialmente como ha quedado la chimenea. That is incredible Caroline! I love the little fireplace!!! 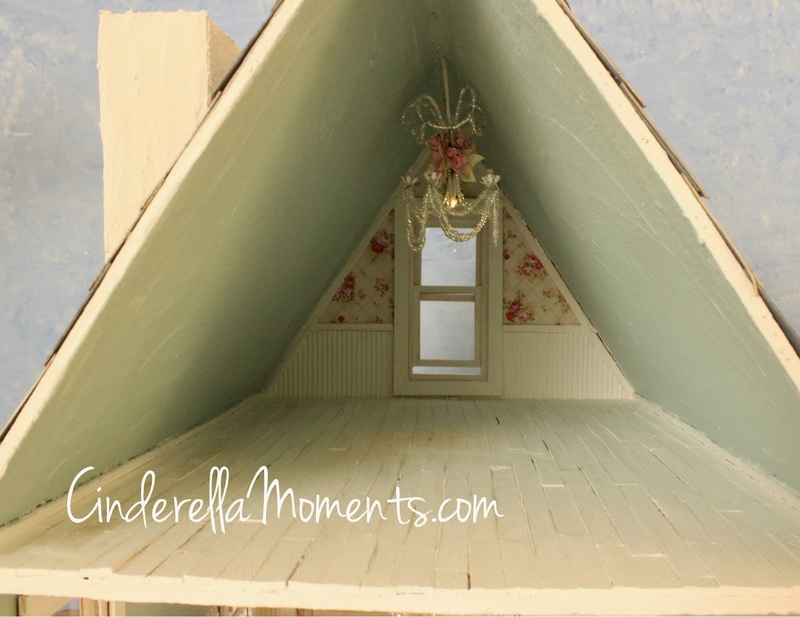 OMG you did the underside of the porch! what a great touch I love it! 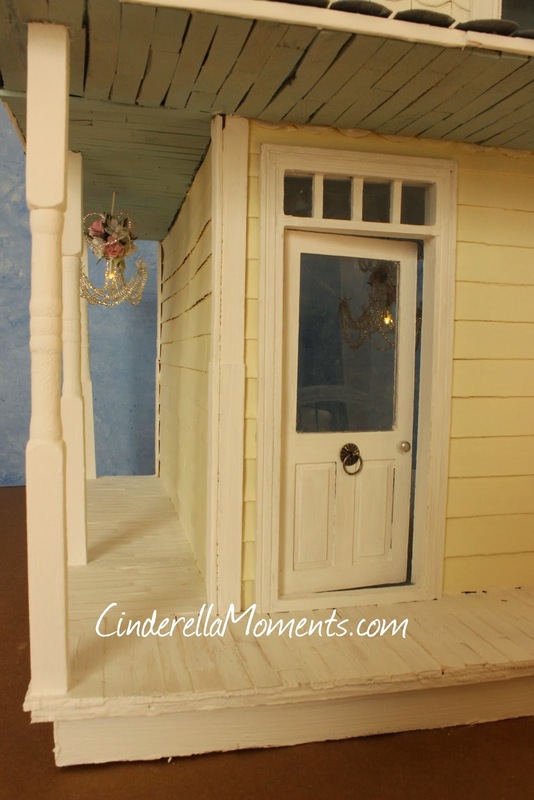 I love the full wrap-around porch on this! 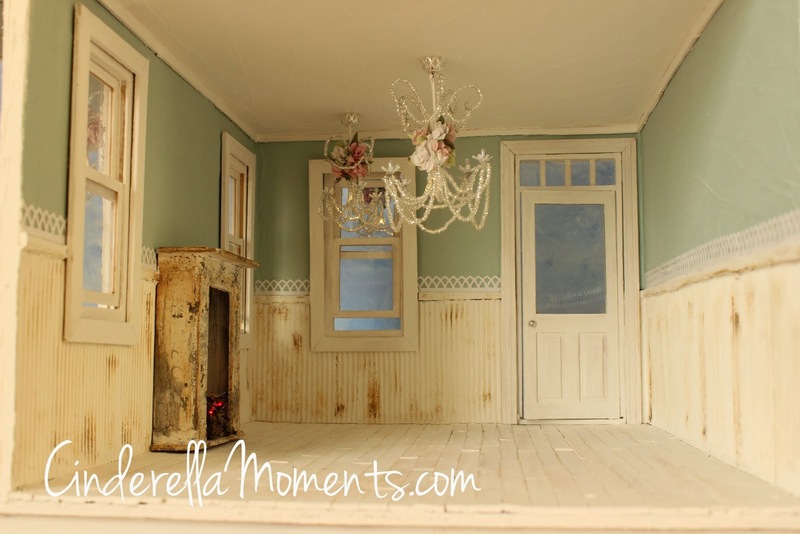 Oh Caroline, maybe someday I will try to make another dollhouse but it won't be as beautiful as one of yours. I can see hanging baskets and a rocking chair. This is a very nice structure. I wonder how you're going to decorate it. 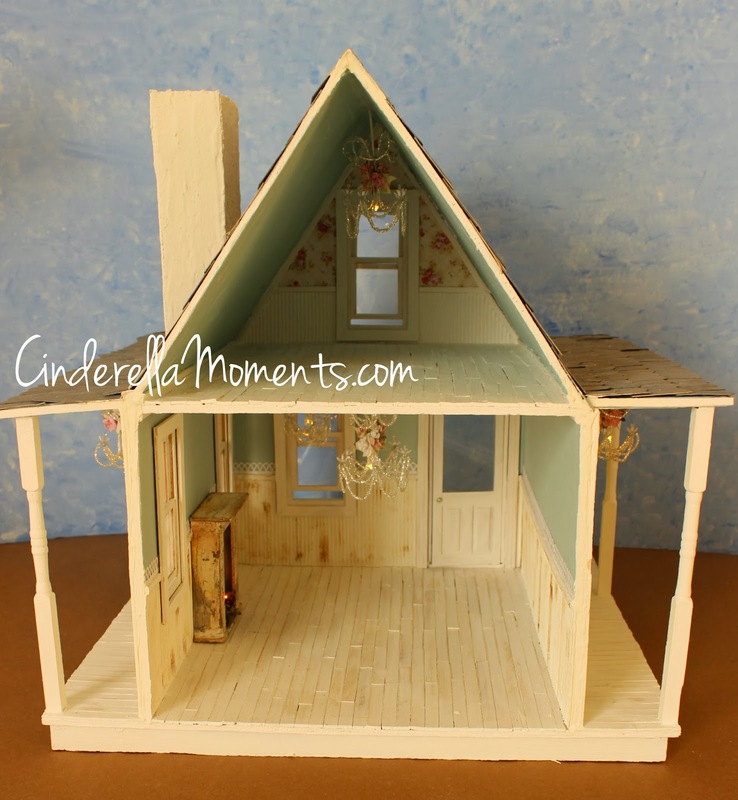 The Figaro's cottage is gorgeous, Caroline! Es maravillosa y aunque solo sea una casa sin detalles interiores ya se siente el "calor de hogar"!!!!! 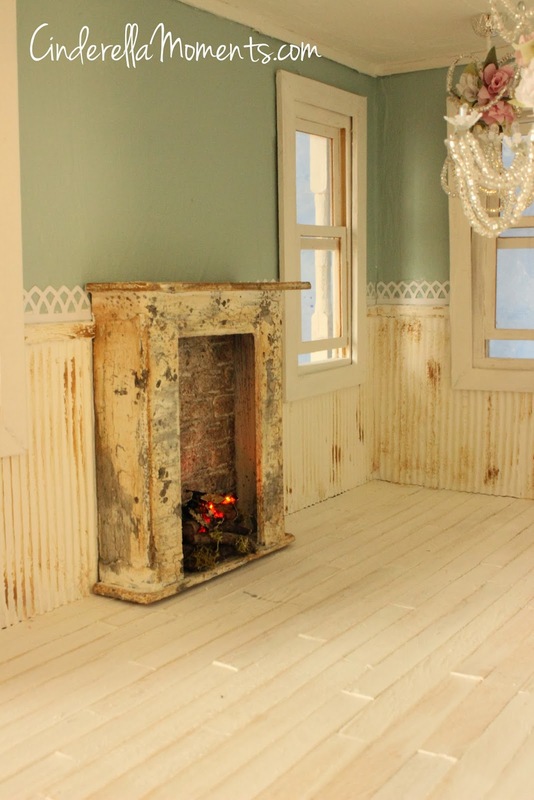 Beautiful, the cinders in the fireplace are fantastic! Una bella casa, sono curiosa di vedere l'arredamento per ora è già splendido il lampadario ed il caminetto! het huis heeft nu al een mooie vorm. nu wachten voor de aankleding. 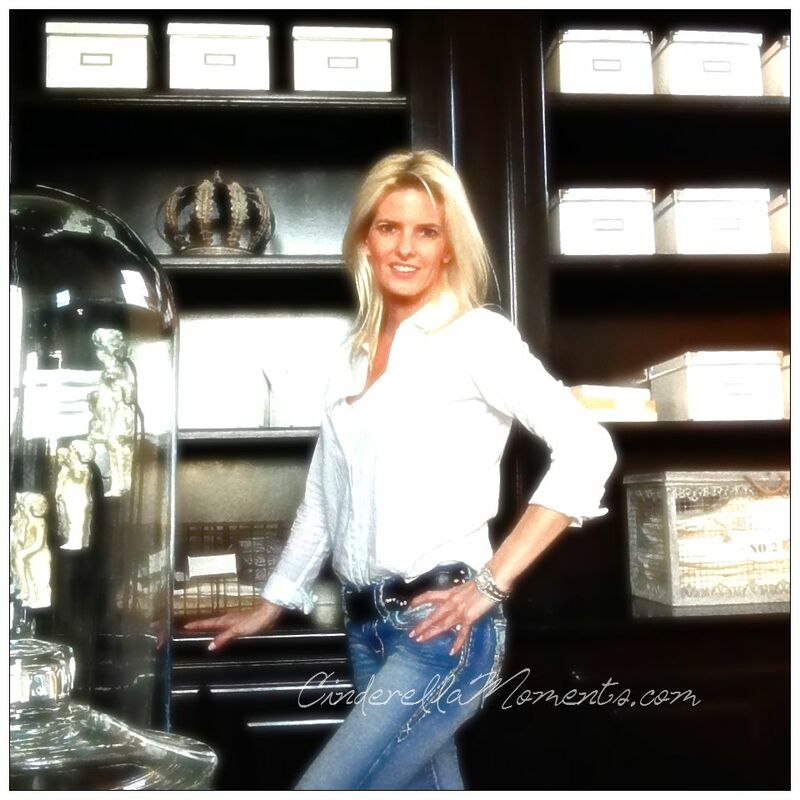 Lovely and elegant as always Carolyn! Thinking of you as always. Great! I'm amazed how many wonderful houses you can make =) You are quick, but still the result is wonderful! 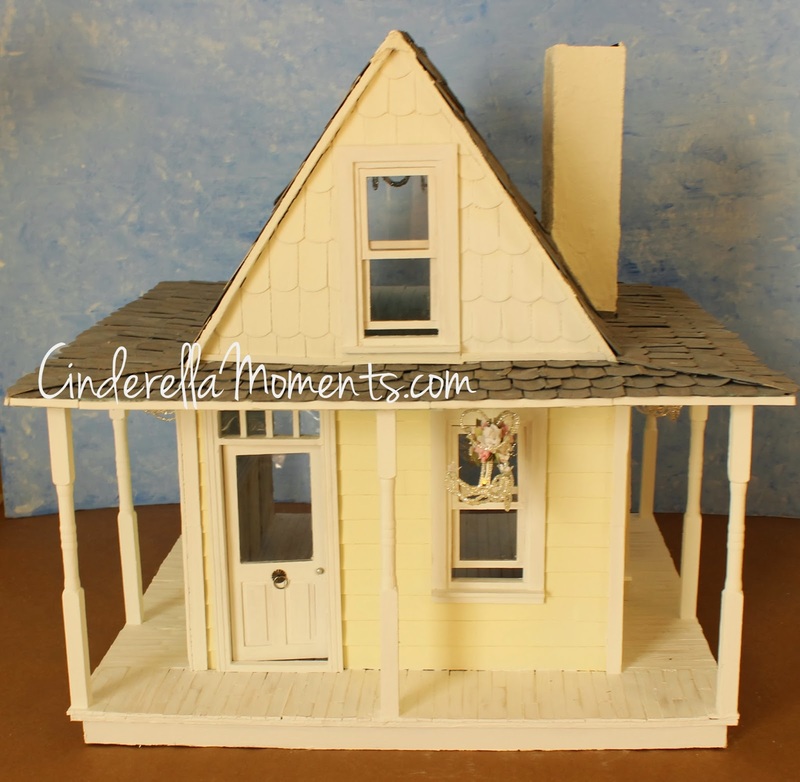 Your cottage is so beautiful at this stage already that you would think it's impossible to make it even more beautiful....but as you said....when your things go through the Cinderella touch they became just special and magical....very unique!! !